omid (mashhad, Iran) on 2 September 2017 in Landscape & Rural and Portfolio. Une très belle ambiance dans cette harmonie en vol. Poetic image ! 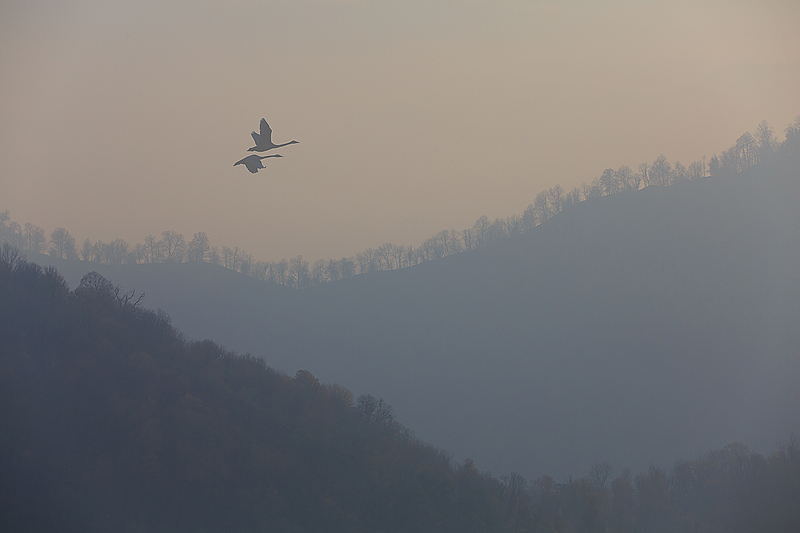 great capture of the magical flight of this couple in a beautiful foggy atmosphere ! Love the softness here, so beautiful ! One click at the right time. Fantastic mood and perfectly poetic photo! Lovely mood, poetic movement. The birds are in just the right place.